Dyke bed and breakfast travel guide for romantic, historic and adventure b&b's. 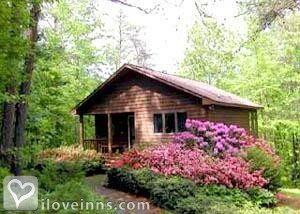 Browse through the iLoveInns.com database of Dyke, Virginia bed and breakfasts and country inns to find detailed listings that include room rates, special deals and area activities. You can click on the 'check rates and availability' button to contact the innkeeper. Dyke, Virginia is a town that provides easy access to the best that Greene County can offer. When it comes to natural attractions and opportunities for outdoor fun and adventure, there's much to experience. Bikers staying at Dyke bed and breakfast inns can rent bikes and try the trails in nearby Stanardsville. Among these is Antique-Artisan Trail, which offers meandering among antique shops and artisan studios. Other popular biking trails are South River Loop and Bacon Hollow Trail. Visitors in Dyke who fish can try the Rapidan Wildlife Management area, with Conway River and its tributaries. Parks which have trails for biking and hiking are Rapidan Wildlife Preserve, Shenandoah National Park, and Skyline Drive. Among the ideal times to visit Dyke are during the Battle of Stanardsville Reenactment and the Fourth of July Parade. By The Cottages at Chesley Creek Farm.